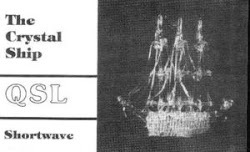 Nearly twenty-nine years after its first transmission, The Crystal Ship has been forced to leave the air due to an FCC "Notice of Unlicensed Operation" which was delivered to the site of their last transmissions at Lansing, Michigan in late May 2011. Yes, we are (more or less) busted. There will be no more TCS programs broadcast from our own transmitters, nor the frequency of transmissions which listeners had come to expect and enjoy. That show is now over. 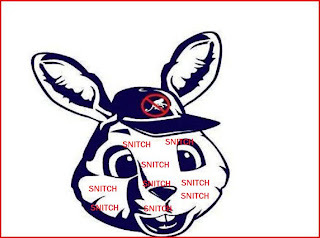 Because of the feuding that took place between the operator known as "Commander Bunny" and TCS' John Poet during April-May of 2011, over Poet's outing of the Bunny's use of "sock-puppets" to control the 'Free Radio Network' website, support his opinions and attack and bully dissenters, we believe that "Commander Bunny" was responsible for making a complaint against The Crystal Ship to the Federal Communications Commission, and providing them with specific details which made for an "easy bust". Circumstances suggest that, along with the complaint, went real name and address information on the station operator known as John Poet. (It is admittedly possible that he turned this information over to "Kracker" of Radio Jamba International, or one of his other henchmen, to do the actual dirty work of snitching to the F.C.C.-- so that he could maintain the more pleasant fiction to himself that "I didn't do it-- someone else did." Kracker in particular has seemed anxious to signal his involvement by circulating a photoshop of a sinking Crystal Ship entitled "SinkingDaShip" along with other comments. However, since 'Commander Bunny' was the only one who could possibly have supplied the pertinent information, we hold him ultimately responsible for being an FCC informant). We have already established, in an earlier blog post, how "Commander Bunny" gained access to Poet's actual name and address info as a result of Poet's admittedly foolish purchase of a CB Tshirt on ebay, cross-referenced with Poet's I.P. from postings on the Free Radio Network website. He later used this information to threaten Poet, not realizing that the FCC bust had already happened. There are a number of unusual facts surrounding the 'bust' which indicate to us that this was not your usual FCC "hunt 'em down and bust them" direction-finding/triangulation operation-- but rather, the kind of operation where you already know where the transmitter is supposed to be, because an "FCC SNITCH" turned over all the information! 1. Only one FCC vehicle was ever seen at the transmission site. They need at least two for any efficient triangulation of signals. "The Detroit Office received information that an unlicensed broadcast radio station on 6815 kHz was allegedly operating in Lansing, Michigan." 4. When the FCC was finally successful in getting someone to answer the door, they asked for the station operator -- but by his real name! In just about every Notice of Unlicensed Operation or NAL which I've ever seen, the FCC makes a big deal about the exact numbers of the field strength readings, and how that particular level was illegal. That's basically the only "scientific" part of their evidence that radio laws have been violated. But on our NOUO, both the version tacked to the door, and the one later mailed, there are NO field strength readings... just the rather mealy-mouthed phrase, "The field strength of the signal... exceeds the maximum permitted... given the distance the signal could be received..."
C'mon, fellas, that's pretty sloppy work, isn't it? That would never stand up in court! The field strength readings are always the primary documentation of proof collected by the FCC, that the Communications Act has been violated! Here, they got nothing... nothing but, in effect, "Well, you could hear it from a good long ways away, so it musta been illegal, right?" The last reported transmission of 'Commander Bunny's WBNY Relay Service during that period took place on May 22nd-- exactly the same day that the FCC showed up in Lansing, Michigan. 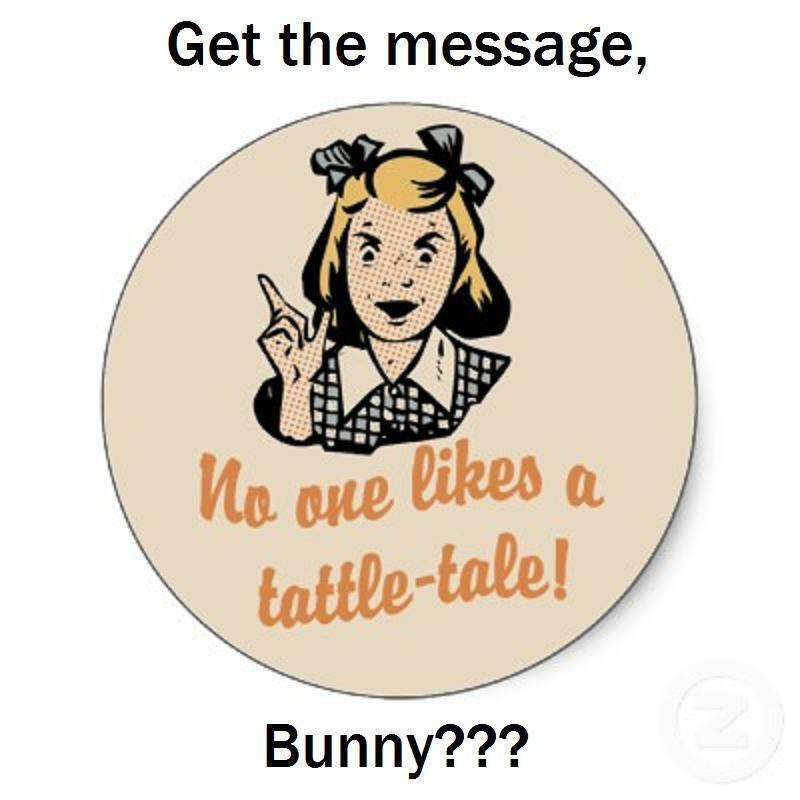 Very shortly after that, 'Commander Bunny' reportedly announced to a limited Email list, that he wouldn't be on the air anymore-- or 'not until things change'. 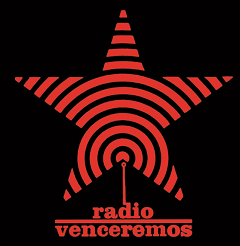 He blamed the snarky criticisms of Guise Faux of the Radio Paranoia website for his closure. 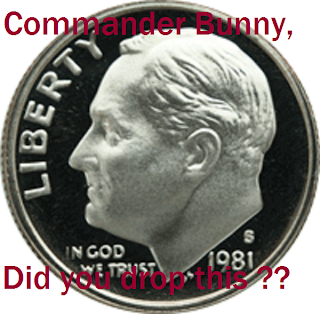 Our take on that, is that he knew that the dime had been dropped on The Crystal Ship (whether by himself or his cronies) some time earlier, that a bust of TCS was likely coming, and that he wouldn't necessarily know it had happened for some time thereafter. So, fearing retribution in kind, he thought it best to leave the air-- after having spent several days a week broadcasting for the previous two months. This sock went on to say, how he'd never heard us, but remembered well reading all about The Crystal Ship back in the 80s... and he'd really like to finally hear us... and when would we be on the air again? b) if we hadn't been busted, coaxe us back onto the air, so that we WOULD be busted! 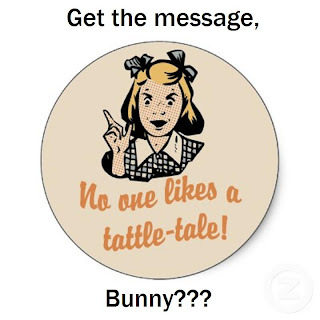 Later, after the Email argument about his eBay customer list, Commander Bunny posted on his blog that we were "not real pirates-- just internet personalities" because we "don't broadcast anymore" (even though the date of our last logged transmission was about the same as his). So, when the "coaxing" from the prospective fan and pirate radio legend didn't get us on the air, he then tried to bait, browbeat and insult us onto the air-- since he believed that we weren't busted yet, because of what I had told his sock-puppet, and he wanted to get the job done! I have been effectively prevented, on the FRN, from commenting about my own bust! Every thing I have tried to post there this week has been removed. The fact is, no matter whose names read in the margin as being its moderators, (sorry guys), "Commander Murphy" still retains moderator tools, is still in control, can still view everyone's I.P. addresses and thereby determine their locations, and still removes posts at will. Frankly, that website IS NOT SAFE, especially for pirate operators! If not for my participation on the FRN, it would not have been possible for my I.P. address location to be matched up with my eBay purchase information, thereby giving away my real identity. Not content with just getting us busted...the cyber-stalking and smear phase has already begun! Thank You to Our Listeners & Friends! You are the folks that have made this adventure so personally rewarding... that even in spite of some of the unfortunate events, I would not have missed this experience for anything! So I want to send a huge and heartfelt THANK YOU to all those who have listened to us, written us and supported us over the past few years! 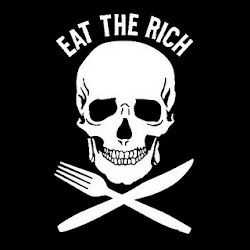 73's & FIGHT for FREE RADIO! "Who is the liar?". A person who has lied again and again about being fist deep in cotton? 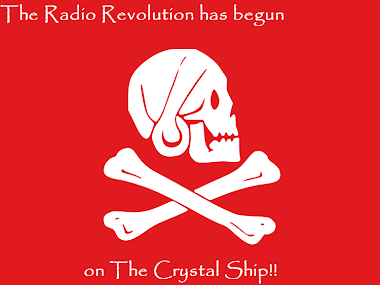 A person who sees a threat in any Pirate radio operator, that challenges his "alleged" rank as the number one Pirate? A person who creates new identities and EMail addresses like there is no tomorrow to attack and bully other operators who have the audacity to stand up to the Commander? Well, I think I know who tells the truth abd who tattles the tale!! "But was he actually Radio Clandestine in the 70s-80s?" That's a familiar tale I've heard from others. "Beans" from the FRN posted duplicate cut-and-paste logs (not similar but identical right down to the same typos) to the HFU under the alias "RF Burnz", presumably a reference to RF Burns of Radio Clandestine. "This sock went on to say, how he'd never heard us, but remembered well reading all about The Crystal Ship back in the 80s... and he'd really like to finally hear us... and when would we be on the air again?" That same tactic was tried by "bobsmith6955@yahoo.com" (claiming to be from Canada but the IP trace showed Virginia) in a failed effort to con Doc John of Northern Relay Service into committing to specifying when the next NRS broadcast would occur. Doc John smelled a rat and flipped the game around on "Bob Smith." Coincidentally - or not - at that time, a "Bob Smith" also reported Doc John to a Canadian amateur radio club and others in Canada. Details to come on ToRP. @Anon: Which Emails does he mean? He is non-specific... or is he now talking about the ebay business? LOL To the vast majority of all the facts posted here, makes no attempt to even deny anything. His favorite tactic is to just ignore most of what is said, because he usually has no plausible rebuttal anyway. 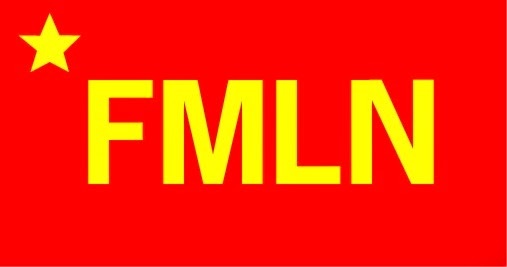 just stay away from the frn. dont post there not even logs. use hfu and frc. dont log wbny or any of his puppets. dont log kracker or any of his puppets. dont ask for qsls from any of them. Keep your head high and know you have the moral high ground. I was sorry to hear about the bust. Kwit macon fun uv mi spelln or ile kik yor as!